Brene Brown keeps bobbing on my radar from random places. That’s what the universe does. It smacks me over the head with something when I’m not listening. Ok, universe. I get the message (because I have nothing but time) but actually I’m a little obsessed with her ideas. I don’t love the idea of vulnerability cause that sounds awful. I’m developmentally stunted in it for sure. But if it promises to be as fulfilling as all these people think… well, what the heck, right? 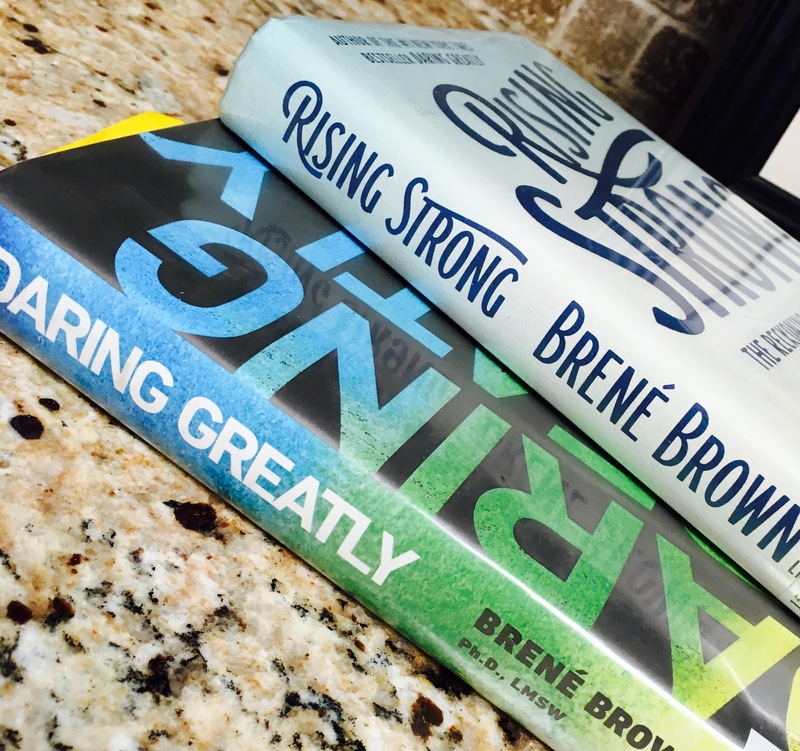 Categories: #AmReading, Uncategorized | Tags: brene brown, creativity, daring greatly, how to write, rising strong, the artists way, vulnerability, write a novel, writers life | Permalink.